Whether you’re planning a small, intimate reception or coordinating an extravagant event, the message is the same – Meet at Blackburn! 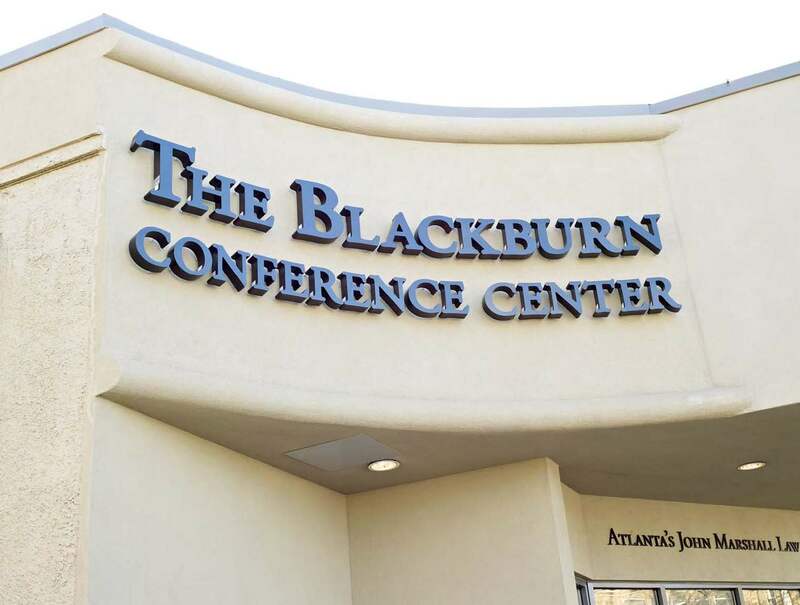 The Blackburn Conference Center, Atlanta’s newest meeting and conference facility, fuses stylish amenities with the ability to meet the educational, entertainment and special event needs of the law school. The 16,500 square-foot, state-of-the-art conference center is designed to bolster educational opportunities, networking and organizational functions, student organizations and more. It is a privilege to serve the greater Atlanta area through providing dependable, trustworthy and customer-oriented service. We are committed to making your business meeting, seminar, reception or special event worthy of your most distinguished guests. Remember, the Blackburn Conference Center’s primary goal is to ensure your company or organization’s total satisfaction!